Mike Puckett writes about the caged APE and how incomplete views of spiritual gifts can hinder God’s mission on campus. I used to think I was a teacher. Over the years I’ve taken lots of spiritual gifts inventories. My number one gift was always Teacher followed by Pastor. As I wrestled with a calling to ministry, I naturally looked for positions where I could Teach and Pastor. As a college ministry guy, I had to figure out how to reconcile my spiritual gifts as listed in the context of something other than a local church. I loved the energy and possibility of planted churches and thought maybe I should Pastor a church or plant one. The existing tradition of established churches and even college ministries sometimes felt like a box to me. Why are we in this box? Why can’t we break out of this box? Why does no one else see that we are in a box? I would fluctuate between frustration and pride – frustration that we were content to be held down – prideful that I saw things more clearly than everyone else. Both of these attitudes were coming from something much deeper that I hadn’t yet been able to identify. Years passed by and I still didn’t know why I felt the way I did. Over the last year or two I discovered a passage of scripture that I knew about but had never really understood. Since Teacher and Pastor always showed up on my spiritual gifts inventories, I had no reason to entertain anything else. The neurosurgeon keeps their focus on the brain while the cardio-thoracic surgeon keeps their focus on the heart. There may be some benefit in cross-pollinating, but if I need a surgeon, I would rather that they each keep their noses down focused on their specialty. That’s how I thought about my gifting. Why give attention to gifting that I didn’t have? They are important to the Body, but not to me. What I couldn’t see was that I was a part of a system that leans heavily toward Shepherds and Teachers. Our churches, church planting networks, missions agencies, campus ministries, and seminaries are training people to lead in and from the legacy church setting. Even the most front-line engagement work being done in legacy church settings didn’t speak my language. It turns out, I’m not a Teacher or Pastor. I’m actually an APE. There are a lot of us APEs serving in parachurch organizations like collegiate ministry or in pioneer missions roles probably because we don’t know where else we fit. A baby wolf is basically a puppy. For a while, you could even keep a wolf cub in your home like a pet. Sooner or later, this scene will turn from kid’s movie to horror movie and the only one not at fault is the wolf. It is in its nature to do what it does. When it is small, it could be confused for a dog, possibly. But as it grows, the similarities will shrink and its true identity will become more apparent. In every church there are likely some people who might be categorized as a different species. In fact, we might call them APEs. They see the world and the church a little differently than others. For many pastors and church leaders, these APEs may be frustrated and frustrating. They can often be identified by their discontent about the right things. There are plenty of people in the church who are discontented troublemakers, but what I’m talking about is frustration that we are not reaching more people, that we are not getting outside of the walls of our churches, that we have lost the missionary heart of our faith. These people often long for something bigger. In the worst-case scenario, these people are treated like nails that have worked themselves out of place on a staircase. Standing out is harmful and they need to be pounded back into place. When people are misunderstood, they are also usually mistreated. This situation is good soil for dissension and division to emerge. But as we remember the passage above, all 5 gifts are just that – gifts from God to his Church. Their purpose is equipping the church for the work of ministry, building the Body, attaining unity, and maturing and growing up into Christ. The intended result is hefty and we ought to see in that the importance of understanding and making room for these gifts in the church. The cornerstone of the church is Jesus Christ. The foundation of the church are the Apostles and Prophets. The Evangelists are the hinge between the Apostles/Prophets and the Shepherd/Teachers. The Shepherd/Teachers are what we know best – and we all know about Evangelists and feel guilty that we aren’t all Evangelists or better Evangelists than we already are. If that rings true for you at all, then you, like me, have lived with an incomplete and unhealthy view of the gifts God has given to his church. What if we commit to broadening our view of God’s gifts to the church, start looking for those gifts, and then do everything we can to empower them? That is the difference between caging APEs who are already in our churches and releasing them for the good of the church and the expansion of the kingdom. An earlier version of this article appeared at Pucketts on Mission where you can read more from Mike on multiplying disciples and churches. 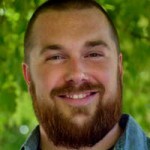 Mike is the Executive Director and a Campus Leader with BCM of the High Country in North Carolina. He drinks coffee black, the way God intended it, and can’t help but read numerous books at the same time. His passion is to see gospel movements start on every college campus.